IDAHO FALLS — A new partnership with the College of Eastern Idaho will allow students in the Idaho Falls School District to earn a year’s worth of college credits while still in high school. Starting in January, high school juniors and seniors in the district can apply for the “Jumpstart College Program,” which allows participants to earn up to 36 credits, or a year’s worth of college coursework, before graduating from high school. “We are excited about being the first school district to partner with College of Eastern Idaho to expand opportunities for our students,” said Sarah Sanders, Idaho Falls’ Assistant Superintendent of Secondary Education. So-called GEM credits are typically required by colleges and include introductory coursework from across the curriculum, from English and communications to political science. Credits earned in the program will count toward the district’s graduation requirements and are recognized by all of Idaho’s colleges and universities. Participants will be able to use state-allocated funds for dual credit courses to complete the program – the $4,125 allocated to every Idaho student in grades 7-12 through the state’s Advanced Opportunities program. Having a 3.0 grade-point average. Having good high school attendance. Attending CEI’s April orientation and enrolling in CEI courses. Most of the program’s classes will be offered on CEI’s campus, the district said, so participants must provide their own transportation. 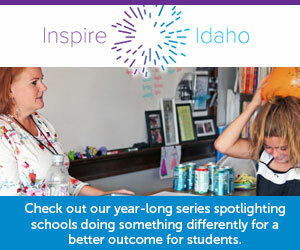 Check back with Idaho Education News for further updates on the program.